Avira Home User Products for 2017 are Here! 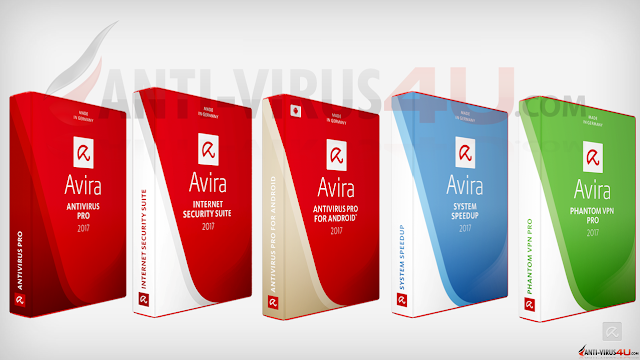 With its new security portfolio for 2017 Avira offers you the latest in protection technology for the PC, tablet, and smartphone. The top rated virus protection detects malware, ransomware, and PUAs (Potentially Unwanted Applications) in real time. This means: Your data and identity are protected when banking and shopping online. The antivirus software's AI engine blocks over 30 million threats daily. Avira always works discretely in the background, only alerting you if it detects a threat. Any virus infection is resolved quickly and the damaged files repaired. The Avira product portfolio has won multiple awards and top ratings for its malware detection, performance, and user friendliness (Avira has won the AV-Test award for "Best Usability" twice in a row).